A perfectly balanced oil with a texture so absorbing that it instantly penetrates and adjusts to the specific needs of each hair type to nourish and provide perfect care. With a unique alchemy of 6 precious flower oils, it nourishes from root to tip to unleash the full splendour of your hair. 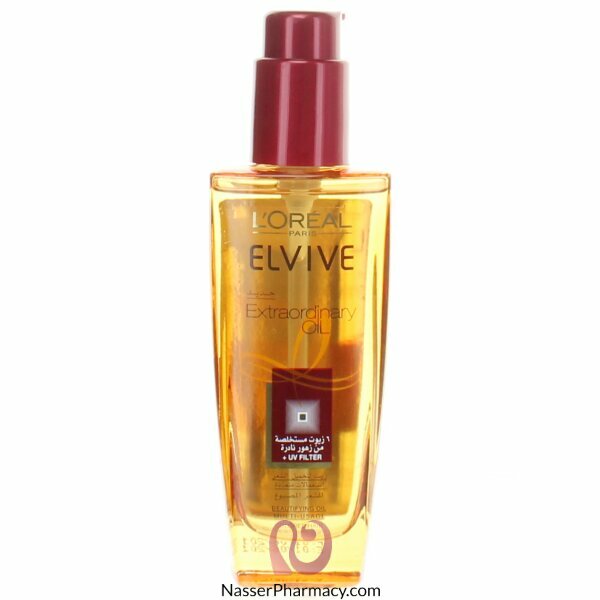 A unique oil formula that transforms dry hair into silk.The award winning ELVIVE Extraordinary oil is the perfect companion for ULTIMATE hair care, style and protection. Inspired by the extraordinary power of 6 rare flower oils, it provides incredible nourishment for all hair types and won't weight your hair down. Use before shampoo, as a mask, before straightening or as a finishing touch.